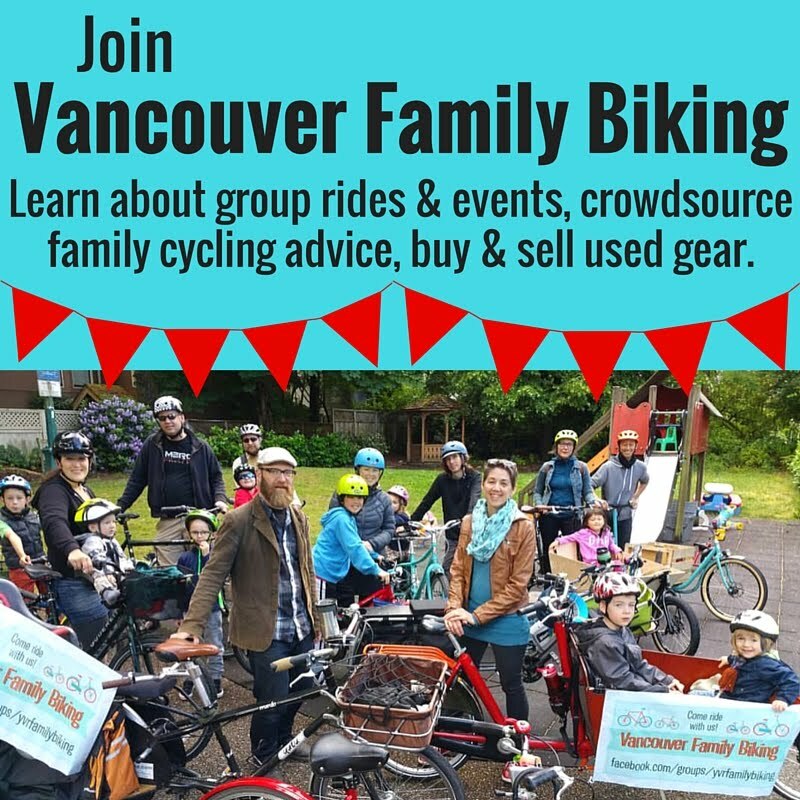 I've been biking with one or two babies/toddlers/preschoolers on my bike in seats or in a trailer regularly for three years now. I'll admit that I prefer using child seats over a trailer most of the time because it's just simpler. Except for one thing: loading & unloading them onto the bike. When you have just one child in a front seat, this isn't bad at all. I found it easy enough to balance the bike & hoist Linnaeus into the iBert, even when I was heavily pregnant with Bronte. Using a rear seat is a different story, however, because you need to balance the bike at the back end--no handlebars to hold--then turn yourself around & get onto the seat (tricky without a step-through frame). With a trail-a-bike, mounted on the seat post, you get wobble too, but at least your child can climb on themselves when you're already on the bike & stabilizing the whole rig. Even a child trailer mounted to the rear axle or triangle of the frame can tip your bike over when it's leaning on the kickstand. Since we got the Yuba Mundo from Bike Doctor, it's a whole new game. 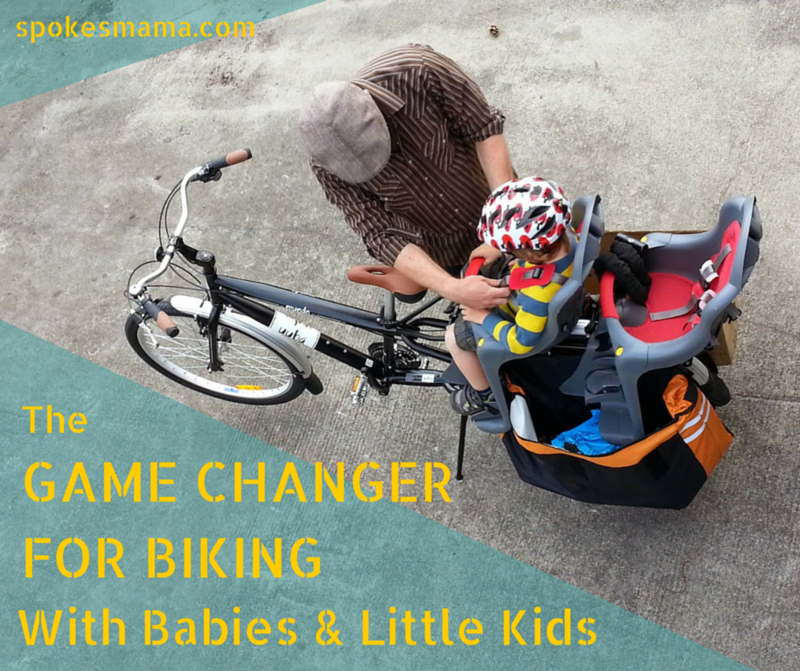 Not just because the bike is longer, sturdier & can carry both kids on the rear rack. Because it has a DOUBLE KICKSTAND. Much like a motorcycle kickstand (I think they're often called centre stands), the Yuba's Stand Alone Double Kickstand has a wide stance & can hold the bike very stable, tripoded on the rear wheel & two side of the kickstand, with the front wheel raised a little. This makes it possible to load both kids (&/or a whole lot of cargo) onto the rear of the bike safely. The double kickstand was brilliant yesterday at Car Free Day. We walked up & down Main Street from Broadway to about 26th Avenue with the Yuba, stopping to answer questions about it & pose for photos occasionally. Every time we stopped, I'd just pull the kickstand down with my toe, pull the bike back a bit to engage it & voila! Parked. No concerns about balancing it just right or someone bumping into it & knocking it over. Easy, right? & that's key, because not everybody out there is as, shall we say, committed to cycling as we are. So anything like a double kickstand that makes cycling easier will make a big difference to how much you like to ride with your kids, &/or cargo like groceries. The more convenient it is, the more you'll bike rather than drive or bus. Though I think cargo bikes like the Yuba Mundo would work really well for a lot of families out there, I know it's not necessarily on everyone's wish list or in their budget. However, a double kickstand can be added on to most regular bikes. I'm actually going to pick one up from The Bike Doctor soon for my old bike. They're not expensive--this one's only $27--so considering how much easier it makes loading your bike, which means you'll save money from not driving or taking transit, well worth it! Disclaimer: We received a discount on the Yuba Mundo bike & accessories from the Bike Doctor, but I was not otherwise compensated for this post. The words & opinions above are my own.